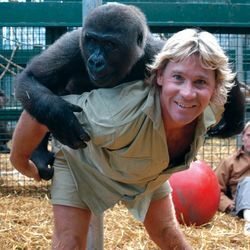 Steve Irwin (1962–2006) was an Australian adventurer, wildlife enthusiast and well-known TV personality. 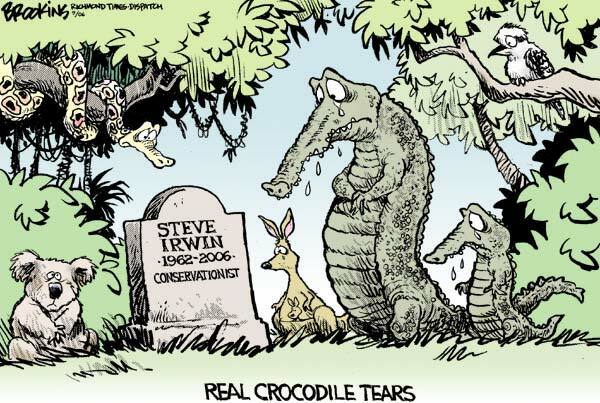 Nicknamed the Crocodile Lover, he is greatly responsible for making an entire generation love every animal species that exist on this planet, from the most beautiful of pandas to the ugliest of platypuses and cockroaches. By the time he was eight, our little scullywag personally knew about every animal in Australia, from that incredibly fast kangaroo who could run a mile in under a minute, Speed Guru, to this grumpy platypus and his tendency to incessantly talk about his incestuous uncle, Playwit Typus. Getting raped by a gorilla and keeping a straight face through it: Priceless. 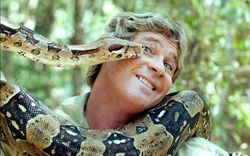 Steve Irwin's first broadcast gained him worldwide attention since it featured him wrestling with packs of jaguars in rut, tickling the belly of 15,000 pounds elephants and getting eaten alive by an anaconda and somehow resurfacing from his predator's mouth, all of which were done while simulteanously telling the animals how gorgeous they were and casually explaining some little known facts about them to the viewers. Soon however, he developped an unconditional love for, of all beasts, the crocodile, baptising himself the "Crocodile Hunter" despite never going as far as to break one of those reptilian's nails and bursting into tears should he come accross the carcass of one of them. An electroshock machine along with a massive dose of antidepressants were carried at all time by his filming crew while on these safaris in case they should stumble on a dead animal. 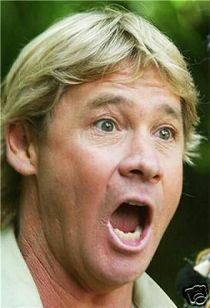 Steve Irwin died while on duty as he was trying to apply a Reverse Tail Lock on a stingray so that he could explain to the television audience the weird reproduction method of the animal in graphic details. It was a routine maneuver he accomplished hundreds of times before. Sadly, the beast wasn't aware the whole thing was intended for educational purposes, and instead of smiling for the camera, it darted Irwin straight through the heart with its sting.